If you love to cook and entertain, there’s nothing quite like an outdoor kitchen. 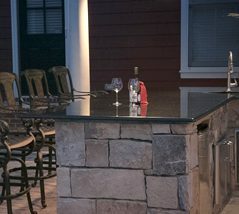 Southern Greenscapes designs and builds custom outdoor kitchens that look great and work well. Our builders use quality stone and other materials and put them together with precise craftsmanship. It’s an upgrade you’ll wish you’d installed sooner! Each client we work with has a different vision for what they want their outdoor kitchen to be. 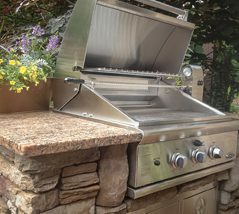 Based on your plans and preferences, our contractors will come up with a custom outdoor kitchen design that fits all your requirements. 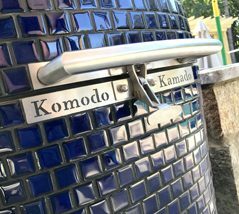 Grills, bar areas, and smokers are just a few of the features we can install for you. 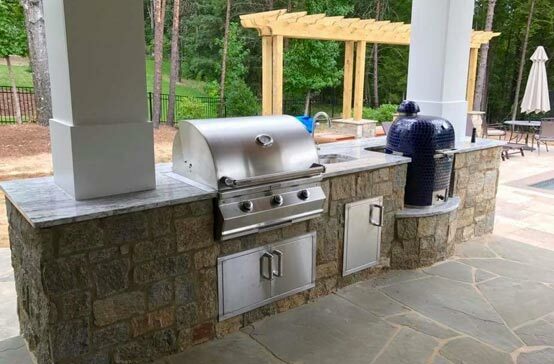 A built-in grill is the centerpiece of any outdoor kitchen. Show us the model you’d like us to install or ask us for our expert recommendation. We’ll help you choose the perfect one based on your needs and preferences. 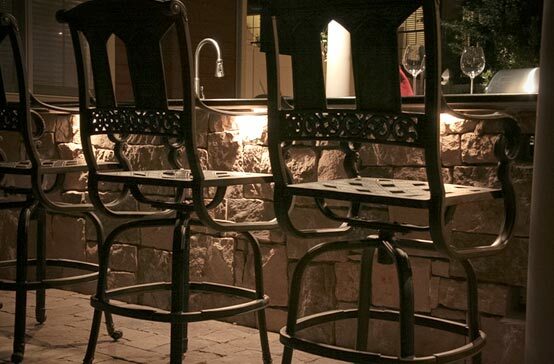 Adding an outdoor bar is a sure way to make your home the most popular one in the neighborhood. Spend more time hanging out and less time running in and out of your house. Smokers are a favorite tool for many outdoor cooks. We’ll create a station for your smoker that’s attractive and functional.